How many restaurant managers know the history behind their hamburger? Chances are not many. 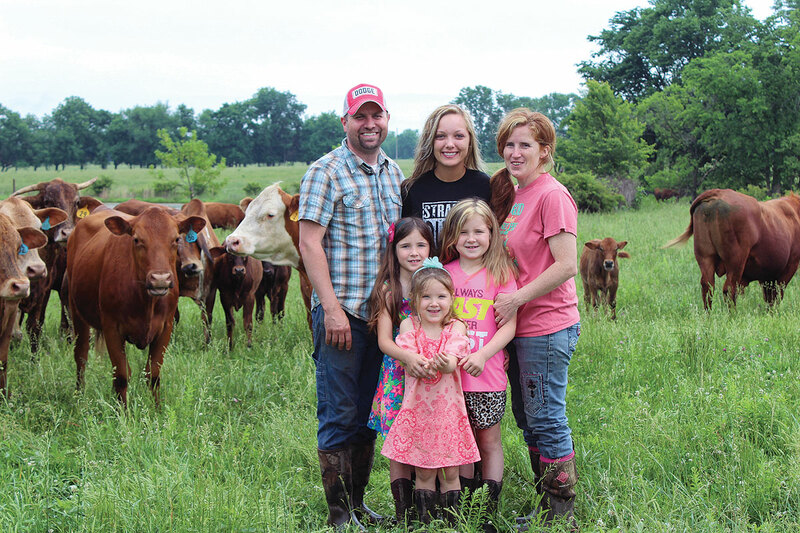 Sarah Bock, owner and manager of Sundaes restaurant in Stockton, Mo., can tell her customers exactly where the beef is raised, what it was fed, even the color and age of each animal that is processed for her restaurant. 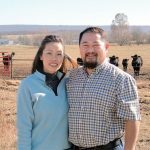 All of the beef served at Sundaes is raised by Sarah and her husband Justin on their farm south of Stockton. They also have chickens and hogs, which will soon be added to their farm-raised menu. 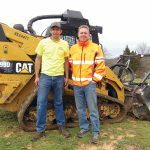 Since 2005, Justin has traveled throughout the United States for his machinist and welding career, only spending weekends at home. Sarah wears many hats while Justin is away. She successfully juggles the farm, Sundaes and Farm Raised Blessings, a concession and catering business. They have four daughters, Misty (18), Natalya (9), Nalayni (7), and Nadya (4) who help every step of the way. Sarah homeschools her three youngest, which allows them to be involved on a daily basis and learn the ropes of the farm and business. Aside from the food service businesses, Sarah is the primary caretaker of their 278-acre farm and 120 cows. The Bocks made the decision to implement rotational grazing in an effort to raise their cattle naturally. They move the herd to fresh grass daily. The cows have access to fresh water every 660 feet, which allows them to better utilize the forage they consume. Instead of using the energy to walk to water, the cattle can convert that energy into milk for their calves or pounds of meat. Their calves spend their entire life on grass until they are ready to be processed at 1,000 pounds. All the meat they sell is USDA certified. They do not administer vaccines or growth hormones to their calves or cows. 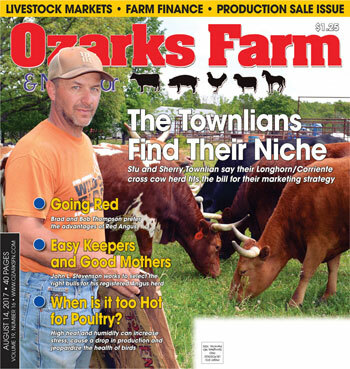 The Bock’s started with Brahman cows in 2005, but are migrating toward a red herd. They plan to keep the Brahman influence with the addition of Red Angus and South Poll genetics. “I always wanted them and liked them. Brahmas don’t get pinkeye, they are hardy, they do well in high temperatures, they rarely get diseases and are attentive and protective animals,” Justin explained. The lean meat offered by the Brahman and Brahman cross cattle is a niche market. The Bocks decided to capture this market and use it to their advantage in their restaurant and concession stand. “This area is not the best for ears. We have been docked at many sale barns because we sold Brahman. When you take the head and hide off, in hamburger, you really can’t tell what’s what,” Sarah said. 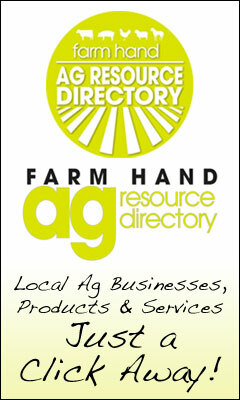 Sarah is the driving force behind the success of their farm and businesses. As a female minority in agriculture, she has been faced with criticism and chauvinism but refused to back down or be defeated. “Come work with me a day. You will understand that I am not just a woman or girl, who is just holding down the fort. I am someone who is going to work hard to make things happen,” she said. She encourages other female farmers to know their strengths, their goals, and not to back down when the going gets tough. It’s a balancing act with a business, farm and kids to make sure everybody stays happy. Our priority is our family,” Sarah said. She makes lists and always has a plan. Each day she knows what must be accomplished and how she will make it happen. Sarah and Justin’s farm is down the gravel road from Sarah’s family farm, where she grew up. “We have quite a few people we depend on to help out when we need extra hands. It is nice to be close to family and have employees that are dependable,” Sarah said. “There are days that are challenging and down heartening and there are other days I set back and think ‘I accomplished a lot today’. Everyday is a new day and an adventure,” she said with a smile.